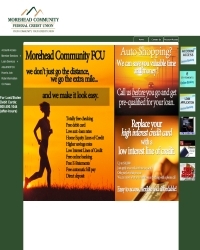 Since its inception in 1978 the Morehead Community Federal Credit Union has been serving its members in the Morehead, Kentucky area with exceptional financial products. You can find their current interest rates on used car loans, new car loans, 1st mortgage loans and interest rates on both fixed and adjustable mortgages here on these pages. Currently led by Mike Alcorn, the Morehead Community FCU has grown its membership to over 3,753 with assets of more than $32,675,340. They have a main office and 1 branch offices. Please see the credit unions website or contact them by phone at (606) 784-2201 or email them at creditunion@moreheadcommunity.com to get exact details . There are many other credit unions in the local area. See them all here. Credit Unions in Morehead, KY.
General Information For Morehead Community FCU was taken from their 6/30/2017 quarterly report, which is the most current available public information. Address 503 West Main St.